Up until the late 60’s Enschede was one of the largest textile producing cities in Europe. A lot of textile factories were located in the city center and many citizens worked in the textile industry. In the late 60’s the vast majority of the factories closed, due to cheaper production facilities abroad. We started Enschede Textielstad with the aim to bring textile production back to the city. We learned the craft from skillful retired weavers that used to work in one of the many textile factories in the city. By joining forces with the municipality and the last textile producing companies in the region we aim to bring textile production back to where it belongs, right here in Enschede. Enschede Textielstad is a small-scale industrial weaving mill in the Netherlands that produces garment and interior textiles with local and/or recycled yarns. 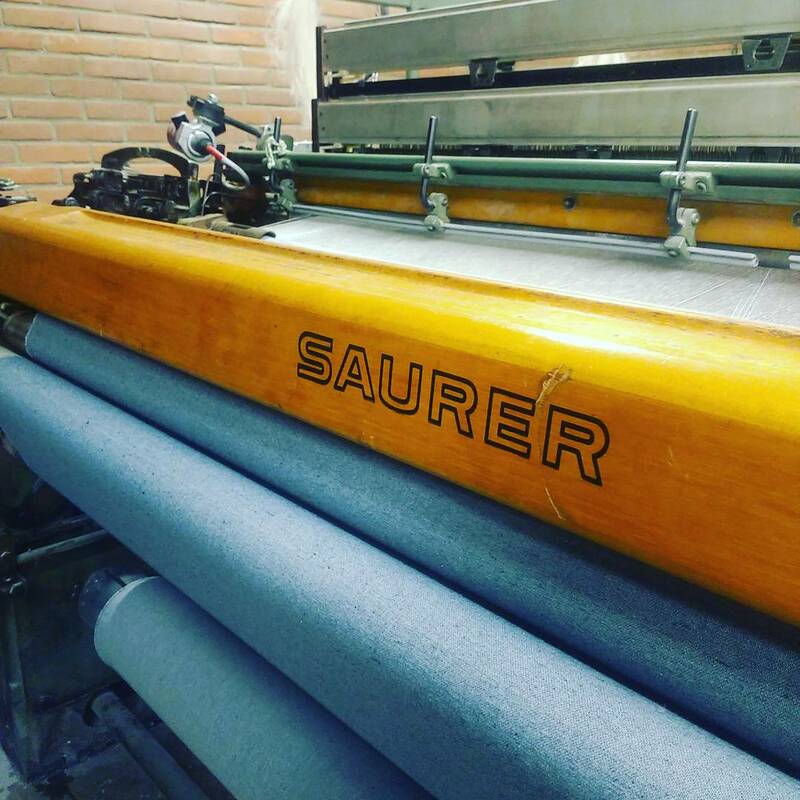 We currently produce selvedge fabrics on two shuttle looms and have access to rapier looms for other qualities and larger runs. It is our goal to produce as local and sustainable as possible and provide brands that are struggling to find high quality sustainable fabrics with the right cloth in order to make their end product more transparent and sustainable for their customers. All of our fabrics are woven in our factory in Enschede. We currently produce selvedge fabrics on two shuttle looms and have access to rapier looms for other qualities and larger runs. 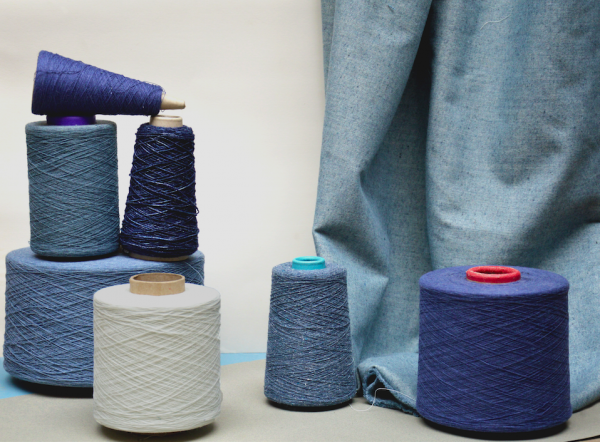 We’re currently weaving chambray, curtains, upholstery, canvas and shirt fabric for various brands and designers. We either develop a new product for our customers or use our standard warp settings, which lowers the minimum order quantity for our customers. Small runs are one of our USP’s. In our cloth we use sustainable and/or recycled fibers such as recycled denim, recycled cotton (both post-industrial waste and post-consumer material), recycled PET, Tencel, hemp and flax. Are you interested in our products or do you want to know more about our production process? Contact us, we’re happy to tell you all about our company and cloth!